As a young boy growing up in Oakland, Carl Gayden was, well, a bit spoiled. “What kid has a G.I. Joe aircraft carrier?” he recalled. But behind the Toys “R” Us shopping sprees was an emptiness brought upon by his parents’ marriage woes, which led to divorce and a move to an unfamiliar neighborhood. This was compounded by a complicated relationship with his father. On one hand, he was the young Carl’s hero, imbuing him with a love of sports. On the other hand, he was the demanding perfectionist – forcing Carl to hit fastballs in the batting cage until he had blisters. Like many kids faced with adverse childhood experiences, Carl could have rebelled – throwing himself into trouble with fights at school, drugs or theft. But that was not Carl’s way. “I think because of a lot of that pressure from my dad, I put a lot of pressure on myself,” Carl said. He dived into his studies at school and, at age 8, started his first business with a friend: C & C Car Wash, pulling a little red wagon filled with soaps and brushes to wash neighborhood cars. Carl also thrived under the doting eye of his own champion for children, his grandmother, Janie, who lived around the corner. And while his braces and glasses in later years could have made him a target for school bullies, Carl’s friends in the neighborhood had his back. They discouraged him from fighting or engaging in other criminal behavior that might deter him from a path to academic success. “I was around people who might be infamous now for what they did on the streets, but they kept me away from it. They knew I could do better,” he recalled. 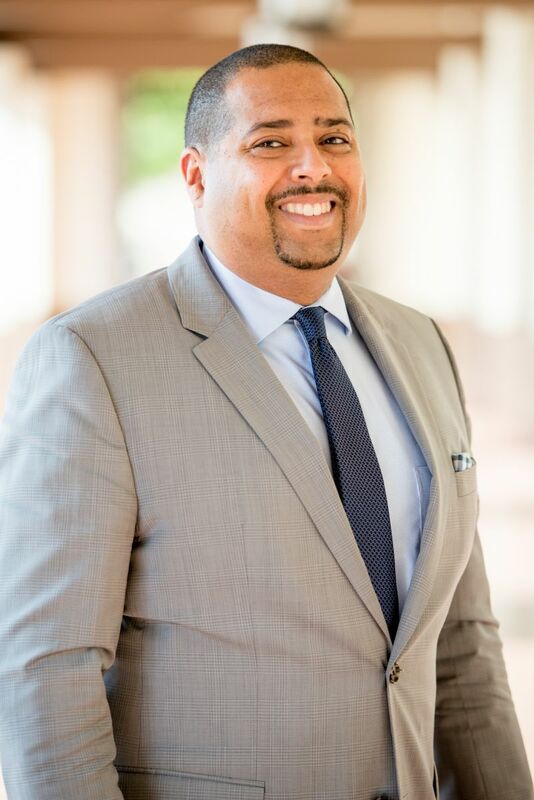 Carl went on to college, first earning a Bachelor of Science in Business Administration-Finance and later a Masters of Business Administration from the Executive MBA program from the University of San Francisco. His academic success in finance was accompanied by entrepreneurial prosperity: he co-founded a successful event planning company in the Bay Area. His career path led to a variety of leadership roles at banks and other financial institutions, then back into the halls of academia as the Associate Dean/Senior Director for Finance and Administration at the University of San Francisco’s School of Management and the Assistant Dean for Strategy and Finance for the University of California at Davis Graduate School of Management. He later joined the San Francisco Housing Authority, where his management skills delivered him into the role of Deputy Executive Director. Last April, Carl headed south to sunny Southern California, where he joined First 5 LA as the new Senior Director of Administration, overseeing the agency’s administrative functions, including contract compliance, finance, information technology, facilities and records management. Carl is proud to work at First 5 LA and of the agency’s programs like Best Start that strengthen parents of young children. “Looking back in my childhood, I wish my mom and dad had these programs that would have helped them be better parents and to deal with some of their issues,” he said. At the same time he works at First 5 LA to improve outcomes for young children, Carl keeps his eye out for others. David Philpott, president of Groceries for Seniors – which provides free food to poor, elderly people in San Francisco – recalled how Carl stepped up to the plate to help when the nonprofit hit some rough spots during the Great Recession in the late 2000’s. Just like those neighborhood kids looked out for him. “It doesn’t feel right if you don’t give back to others,” Carl explained, humbly. Today, Carl finds a happy union between the work he does on behalf of kids at First 5 LA and his family life, which includes his wife, Danielle, whom he called his “backbone”. Unlike his own mother and father who raised him separately, Carl works in partnership with Danielle to raise their 3-1/2 year old son, Cameron. Together, the couple shares many of the same concerns for the health and development of their child that face those parents and caretakers in Los Angeles County served by First 5 LA. His work at First 5 LA, he said, reminds him of the significance of his role as a dad and how far he’s come since the days of being a spoiled kid in Oakland.